Enjoy your music by the water! There are times and situations when you just don’t want to stop. Maybe you got caught in a cloudburst during your picnic, but you’re making the most of it instead of running for cover. 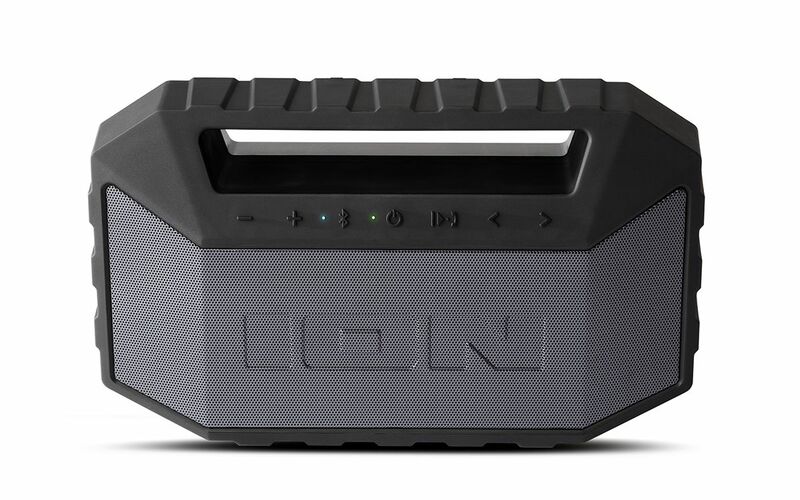 If you’re up for it, so is Plunge™, the stereo waterproof boombox. Plunge is a high-performance Bluetooth-streaming boombox with dual full-range drivers coupled to a rear-firing bass radiator for impressive low-end “kick,” driven by a 20-watt dynamic power amplifier. It also has a built-in microphone so you can answer your phone calls, Bluetooth music control with Play/Pause, Next/Previous Track buttons and a built-in rechargeable battery for hours of uninterrupted fun. But what really sets Plunge apart is its rugged/rubberized design with IPX7 waterproofing. Go ahead—throw caution to the winds. Or torrential rain. IPX7 waterproof -- fully immersible!